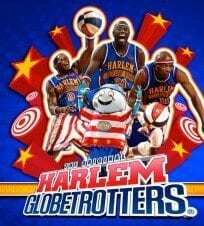 The legendary Harlem Globetrotters are always a blast to watch. This is not ordinary basketball – it is a comedy show and wholesome family fun. The Globetrotters high-flying blend of basketball action and comedy has thrilled fans of all ages for over 80 years. Coming Dec 27, 2018; Barclays Center, Dec 27, 2018; MSG Dec 30, 2018; Prudential Center (NJ), get your discount tickets to the Harlem Globetrotters in their hometown!